Marigolds, zinnias and other showy fall colors bloom in Bar Harbor, Maine, September 2007. I agree with Holmes that the beauty of October is usually more extravagant than the showy displays of September. But this month is a fitting prelude to the grand symphony of colors we look forward to seeing in a few weeks. He didn’t even mention the chrysanthemums that are as much a part of fall as pumpkins and football in most of the USA. I’m already beginning to see them adorn the porches and front steps of homes in our neighborhoods. Everyone is invited and welcome to attend “the grand reception” that will be taking place all over the northern hemisphere in the next few weeks. Meanwhile, enjoy the colors of September, whatever they may be where you are. What vibrant warmup acts are playing before the weather changes in your part of the country? Some of my favorite fall colors are provided by Zea mays indurata. What do we commonly call it? As with the flowers that so commonly share arrangements with it – Mums the word. I love Indian Corn! I have a bunch that I hang over my dining room door in the autumn. Good Sunday morning, Julia. At 6:00 this morning, I stepped outside (at the campground) with Jack, and was pleasantly surprised at the much cooler temp from yesterday. So although it was too hot last week to buy the beautiful chrysanthemums that I admired, today feels just right! This was such a lovely, very fitting blog for this glorious day. 🙂 Thank you, my friend. Hi Sheila! We had a cooler day, too. I enjoyed my walk this afternoon and actually got a little bit chilly in my light clothes. Mum weather is here! Hope you have a lovely week. Thanks for being here. Patricia, thanks for this wonderful description of fall in the south, which is the only place I’ve really experienced what I think of as a typical autumn. In California, Texas and Hawaii the changes were so subtle as to be barely noticeable to me, except that in CA it got warmer in October than any other month. I hadn’t thought about the snow bird angle, but you’re right, nobody that I know of flies north for the winter! Hope you enjoy a beautiful autumn. We started the prelude to our Fall season with an early wind storm in Oregon. Those are generally with us the last weeks of October as Mother Nature attempts to shake free the remaining Autumn leaves as we get into our 8 month long rainy season. Wow, an 8 month rainy season! That’s like in northern CA; winter meant rain (though only for 3 months or so). Better a windy day in September than in January! I’m not sure I could stand to live in Chicago. Since Portland, OR is in the Columbia River Gorge. We have windstorms for a day or two that reach gusts of 100 mph with sustained winds of 60 mph. It blows down a lot of trees and does plenty of damage. Oh, wow, that sounds almost like hurricane season. I never realized there were windstorms in the Portland area. I guess no part of the world is without dangerous weather from time to time. We don’t have hurricanes and very few tornadoes. We don’t even get many thunderstorms but we get wind storms and frozen fog. Frozen fog! That’s something else I’ve never heard of. Sounds interesting. I had never seen it before moving to Oregon. It looks like snow but has no depth. It’s amazing to see covering an asphalt parking lot. It’s very slippery as well so it’s treacherous driving on it. Do you have any photos of it? If not, maybe you can take some for us next time it happens. I’ll have to take some this Winter. Be sure and let me know when they are posted. 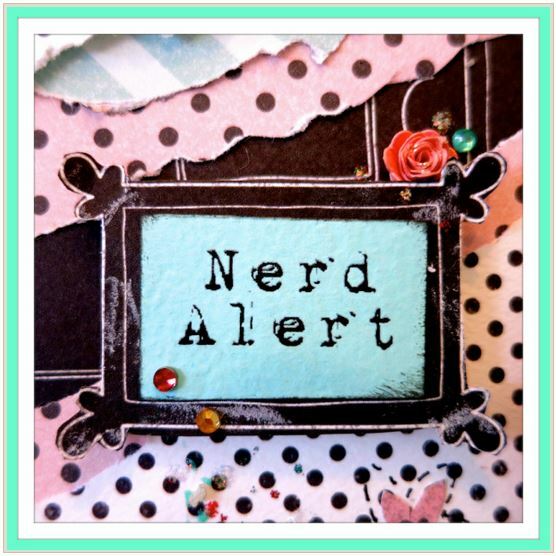 I am so far behind on blogs I’m afraid I will miss them. Here’s a Wikipedia description: Frozen fog (also known as ice fog) is any kind of fog where the droplets have frozen into extremely tiny crystals of ice in midair. Generally this requires temperatures at or below −35 °C (−31 °F), making it common only in and near the Arctic and Antarctic regions. It is most often seen in urban areas where it is created by the freezing of water vapor present in automobile exhaust and combustion products from heating and power generation. Urban ice fog can become extremely dense and will persist day and night until the temperature rises. Extremely small amounts of ice fog falling from the sky form a type of precipitation called ice crystals, often reported in Barrow, Alaska. Ice fog often leads to the visual phenomenon of light pillars. The phenomenon is also extremely common in the inland areas of the Pacific Northwest, with temperatures in the 10 to 30 °F (−1 °C) range. The Columbia Plateau experiences this phenomenon most years due to temperature inversions, sometimes lasting for as long as three weeks. The fog typically begins forming around the area of the Columbia River and expands, sometimes covering the land to distances as far away as LaPine, Oregon, almost 150 miles due south of the River and into south central Washington. Wow, this is so interesting I just had to look up some photos. I found this one of light pillars in Oregon, among many other beautiful shots. It makes me want to visit Oregon in the winter. I’ll never forget seeing deep, deep snow at Crater lake in the middle of June, when it was warm and sunny just a 30 minute’s drive away! Truly an amazing place. I stood knee deep in snow at Crater Lake and also at Timberline Lodge atop Mt Hood when my friends from South Carolina visited me here. It’s an amazing place to live. I have been wanting to go back to Crater Lake ever since that amazing experience there. I bet your friends from SC loved it. Jeff and I need to take another Pacific Coast trip. My friends from SC never went to Crater Lake but enjoyed the 4 places I took them. It would be really hard to plan what to include and what to leave out on a trip to Oregon. We have never seen any of the eastern part of it, but I’ll bet there is plenty to see over the entire state. The town of Sister is a hoot. Definitely a great tourist trap. Forget going during the quilt sale as it’s booked two years in advance. The same for Pendleton’s Roundup Rodeo. Crater Lake and Diamond Lake are a must see. I’ve never been to the lava fields but would like to. There’s just so much to see and so little money to travel. I don’t think I have ever heard of any of those places except Crater Lake, but I’d like to go. I remember being amazed that Crater Lake was not overrun by tourists. It was so beautiful. I will have to put all those places on my list for when we make it back to the west coast. A small note, It’s Sisters, OR not Sister. 🙂 If you make it there be sure to try out Bronco Billy’s Restaurant. If you go to the UR blog there is a video of a moonflower opening in real time. Video is slightly over a minute long. It is fascinating to watch. You might want to use that video or link sometime. I don’t know how to add it here. Ann, thanks so much for sharing this fascinating video! Here’s the link. I had read of moonflowers but had never seen one as far as I know, and certainly didn’t realize they open that quickly. So pretty! I will have to read more about them. Thanks again for sending this. For more related to my play on words, see William Langland’s “Piers Plowman”. It was written in the middle of the fourteenth century, and is therefore in Middle English. I’ve got some beautiful little roses blossoming here & there (now that the terror & destruction of our front yard has waned somewhat). I am enjoying our neighbors’ roses, and thinking of planting some. I’m happy to hear the terror and destruction is waning. Do your roses bloom year round? We Our neighbors in CA used to have them blooming pretty much all year. It was great. I had some too, while we lived on the central coast 1990-1993. Feels like a million years ago now. Raynard, fall is a great time for VA Beach. Still warm enough to enjoy the boardwalk and fewer crowds. You might not even have to wait for the “honeymoon table” at the Belvedere! It’s windy there all year round, though, so be sure to bring a jacket. I love, love, love my crock pot. I could not have survived all the working years without one. So nice to come home and have dinner ready and the kitchen smelling yummy. Uses less power too. I can’t wait to start making chili again and eating soup at La Madeleine! The beauty of Autumn gets closes every day. Will take the opportunity to drink it in. p.s. Julia, a reminder: the topic I spoke to you about will be posted today. Alan, thanks so much for the reminder about your post today. I really enjoyed it, as this particular debate was unknown to me. Not being of a scientific mind myself, a lot of it is over my head, but reading it reminded me of one of my favorite SNL skits of all time, wherein Theodoric of York boasts of the superiority of “modern” scientific thought. It’s a wonderful parody of how prone we are to think ourselves modern and enlightened, and look down our noses on past generations, never realizing that someday people will likely be laughing at what we think is beyond question. Closer to home, I can remember many things that my mother (who has been into holistic health for years) used to say, that some doctors used to laugh at and denigrate, and are now embracing — for example, that margarine is worse for us than butter. As my friend Ashleigh Brilliant has said, “The greatest obstacle to discovering the truth is being convinced that you already know it.” I appreciate the reminder for a most thought-provoking read! The moonflower link was fun and I enjoyed the corresponding meditation about God working in the darkness to bring about new life. This is not unlike the darkness of the womb where new life forms and if differs from the darkness of despair where life seems remote and out of reach. 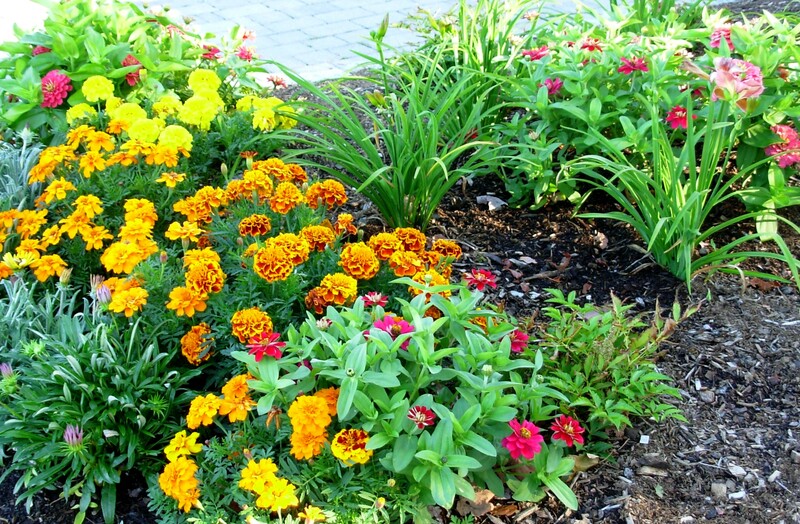 Marigolds, Zinnias, crocosmia and maybe some purple Asters. Michael, I hadn’t thought about that connection to the darkness that surrounds us in our first months of life. I have often thought how traumatic it must be fore newborns to be suddenly thrust into the blinding lights of a delivery room! God does work well in the darkness. For me, it brings thoughts of the photography darkroom where gorgeous images used to emerge as if by magic from the paper that was submerged into the smelly chemical bath. I am trying to decide what I want planted in the renovated flower bed around our mailbox, and I think I’ll have to include some zinnias. For some reason they have been very popular in our neighborhood this year, and I love the bright colors. I had seen and loved crocosmia, but didn’t know what they were called until I read your comment and looked them up. Asters would be nice too and might make good cut flowers to bring indoors. Aren’t we lucky to have so many choices?